Published Friday, February 17, 2017, OK personal/derivative use; link www.lovethatimage.com. 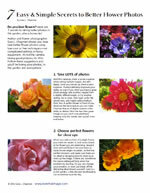 The NW Flower & Garden Show starts next week in Seattle. Even though the theatrical lighting can be very challenging for floral photography, there are still so many flower photo opportunities. Connecting to Our World Tuesday, Macro Monday, Tuesday’s Wordless Wednesday, Floral Bliss Wednesday, Orange You Glad It’s Friday, Floral Friday, Photo Friday, Shadow Shot Sunday 2, and Pink Saturday. Thanks for your visit here and hope to see you again soon. 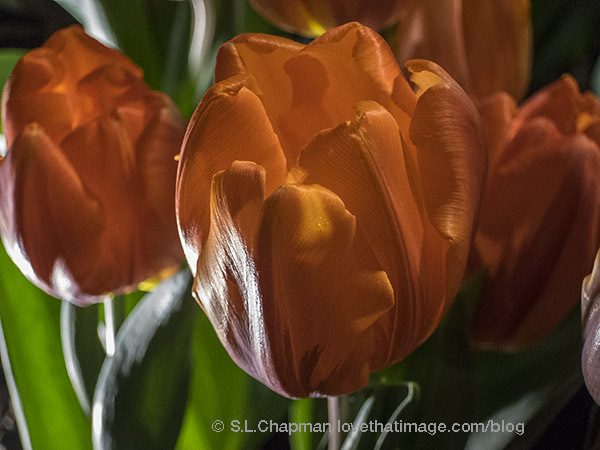 Orange tulips are so beautiful! Awesome shot! You have managed brilliantly with the lighting – gorgeous!